This represents one of the fastest-growing areas of personal injury litigation in Massachusetts, and across the nation. There are two main reasons: 1) The growing number of nursing home residents, due to longer life spans of the average American, and 2) The fact that many nursing homes are owned by large corporate organizations, who care more about the “bottom line” of profitability, than they do patient care. Unfortunately, that’s nothing new when it comes to corporate America. We’ve seen it in every industry sector from automobile manufacturers, to drug companies, to utilities giants. 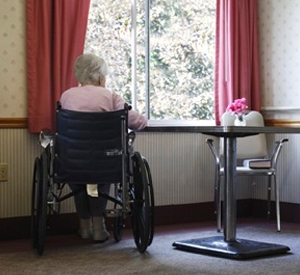 Nursing Home Abuse and Neglect is also one of our firm’s fastest-growing specialties. It is a type of medical malpractice, and is a specialty practice that our Boston nursing home abuse attorneys are proud to say we litigate very aggressively in. Patients in nursing homes were once healthy, productive members of our society. They are someone’s mother, father, grandparent, or other loved one. We believe that when a family entrusts the care of their loved one to a nursing home, that nursing home should be held to the highest standard possible in providing that care, and if that level of care isn’t given by the staff of that nursing home, the owners and staff should be held liable in court to the fullest extent possible. We don’t tolerate excuses from these defendants. We hold them responsible. If you suspect that your loved one has been the victim of nursing home neglect or abuse, contact us for a free consultation. We will be happy to discuss your situation with you, and determine if you have a legitimate case. For now, you should know that nursing homes in Massachusetts are licensed by the state. Nursing home operators are subject to routine inspections, and they are well aware of how their patients should be cared for and attended to. There should be no excuses for allowing a nursing home patient to be neglected or abused. Several factors can lead to neglect or abuse, including: Failure to conduct appropriate background checks for employees, inadequate staffing, inadequate training, and violations of basic healthcare procedures. “Abuse” of nursing home patients can take many forms. Simply failing to routinely move and change a patient’s bed position can result in bedsores causing pain and even wrongful death. Failing to make sure a patient consumes enough fluid or food can result in dehydration and malnourishment. Failure to provide necessary medications can cause untold misery and even death. Our Massachusetts nursing home negligence attorneys know how to investigate instances of nursing home abuse and neglect. We know how to find the evidence we need, we know what to look for, and where to look. We know how to assemble the evidence needed for a solid case, and we will secure maximum payment and penalties for any provable instance of abuse or neglect of your loved one. If you know an elder who has been injured in a nursing home you should seek the immediate help of an experienced nursing home abuse attorney. We advocate and litigate for these most helpless victims. And we don’t tolerate excuses. Contact us for a free consultation.